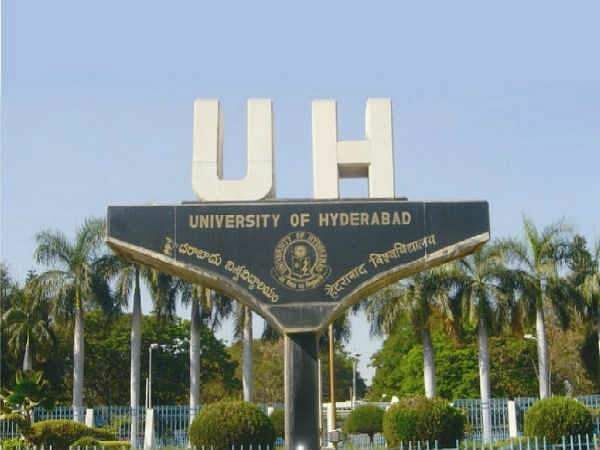 According to recent news reports, an assistant professor from the Political Science department at Hyderabad Central University allegedly leaked an entrance exam question paper to an ABVP affiliated student. The question paper was set for the PhD entrance examination in 2018, says a poster that is being pasted all over the campus. 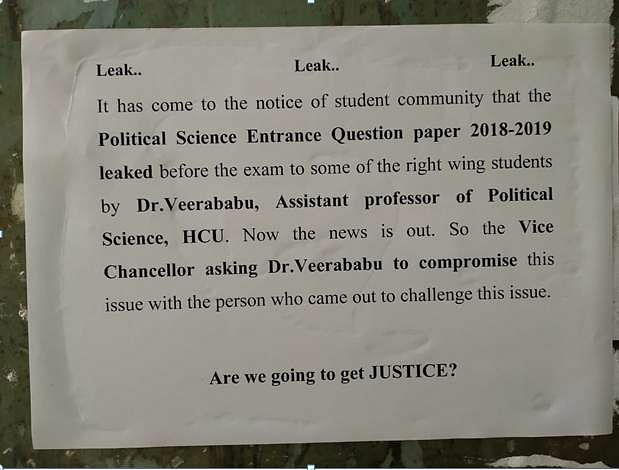 The poster states that it has come to the notice of the students that the Political Science entrance question paper 2018-2019 was leaked to right-wing students by Dr Veerababu, assistant professor at the Political Science department. The note goes on to say "The issue has reached the VC and the professor has been asked to compromise with the student who came out to challenge this issue." Many students protested after this news reached them and they've demanded an enquiry into the matter. Devesh Nigam, Controller of Examinations told Newsclick that the posters were not authentic and that there was no such malpractice in the exams. He added that the exam in question was conducted eight months ago on June 5 and that there was no evidence of such an incident taking place. The posters do not have any signature. Aarti Nagpal, President of the ABVP-controlled Student Union at UoH seconded the Controller and said the fact that there was no signature in the posters raised doubts about whether the allegation was true. "There is no mention of the student or the organisation that printed the posters. Anybody could have put this up. If there is any truth in the matter, then the accuser should come up with evidence that proves their allegation," she said. 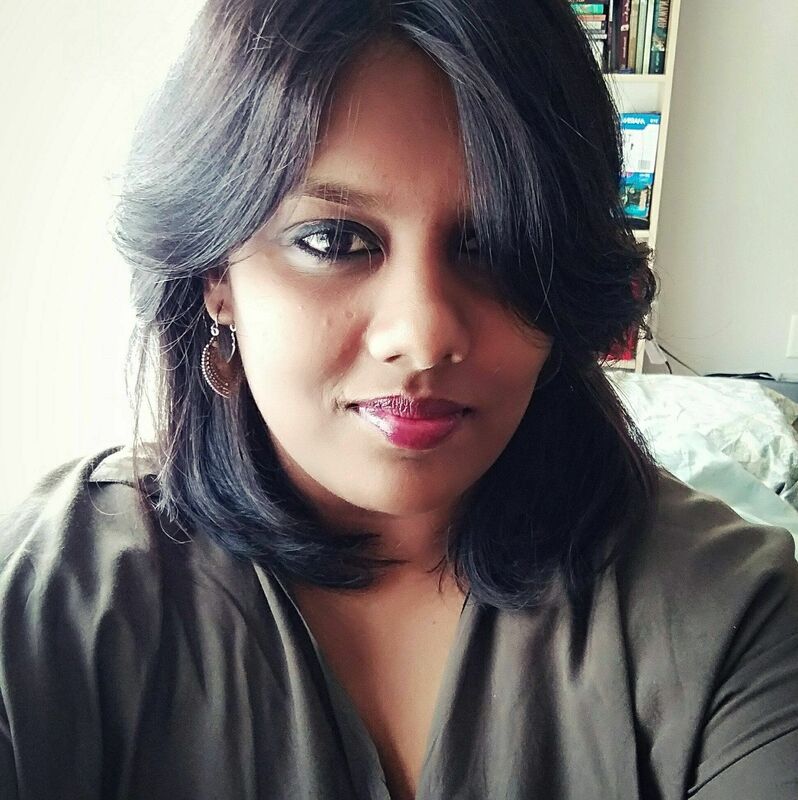 Nagpal said that if the accusation was, in fact, true, then as the President she would invite any student or organisation to come and confide in her. "If there is evidence to prove the claim then we will ensure that there is a grievance committee in place and an enquiry is held against the faculty in question. But somebody should come up and identify themselves and give proof. Otherwise, anyone could say things like this. Just because I'm upset with a professor, I could also put up a poster but that doesn't make it true," Nagpal explained. Another student, Sreerag Poickadan, a member of the Ambedkar Student Association said that he firmly believes that an enquiry must be conducted and the faculty should prove his innocence. "The allegation is coming from the students so it has to be taken seriously. Something must have definitely happened otherwise something like this would not have made it to the news," he said. Another reason why Sreerag is so sure the allegations could be true is because he believes that there has been an increase in the number of ABVP students getting admitted into the University, "Their numbers have been increasing in the recent past and it is quite unusual. So I think an enquiry is mandatory," he said.